1. 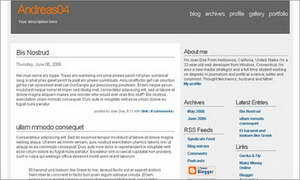 Andreas04 Blogger Beta Template: Really simple and very useful 3 column Blogger template. It has subtle look with shades of white and grey. Of course you can play around with colors to customize it. 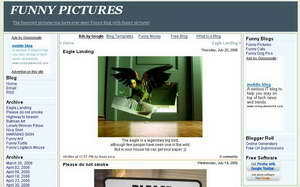 My personal favorite when I was on Blogger. 2. Final Sense’s Red Fruits: Very clean and all white 3 column template. It is on the list because white backgroud templates are most liked ones. 3. 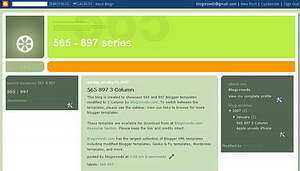 Blog Crowd’s 565 3 Column: It is 3 column avatar of standard 2 column 565 blogger template. Looks very colorful and attractive. 4. Webtalk’s 3 Column Templates: This guy has converted most of standard two column templates into 4 columns. Lot of templates to chose from. 5. 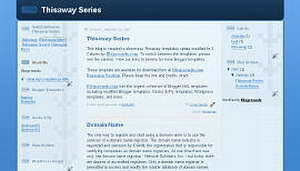 Bloggero’s 3 column template: Very clean look, fixed width, clickable post title and adsense ready 3 column blogger template. Hope above list will be useful to all. 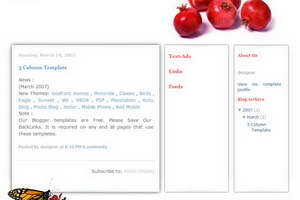 In case you know any other exciting 3 column templates please share here by adding comment of contacting me. Happy blogging! @Balbino after downloading the template, paste it in template editor in blogger dashboard and save settings. Make sure you backup existing template before trying out new template. In case of any issue, contant me!